GoFor is a web and mobile app for on-demand delivery of building materials and equipment for the home improvement and construction industries. GoFor provides reliable, affordable and timely delivery of goods to your customer and job sites. Our fleet of professional drivers are equipped with lightweight to heavy-duty vehicles suited to your delivery type and size, to get the job done as efficiently as possible. Whether you need it today, tomorrow or right now, GoFor delivers. GoFor is your on-demand delivery partner. 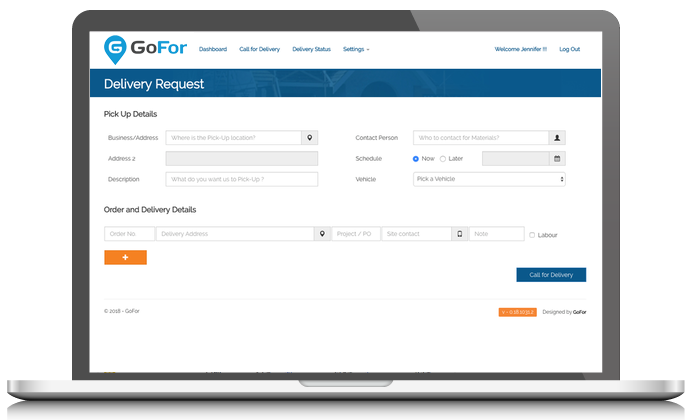 Use GoFor for same day and urgent deliveries – most deliveries are fulfilled within a few hours. GoFor is your logistics partner. 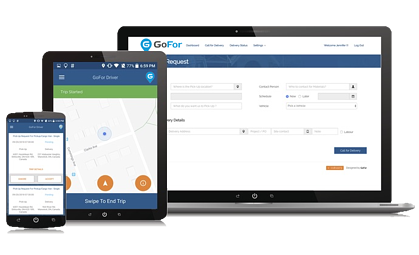 Use GoFor for your scheduled pick-ups and deliveries to your commercial and residential customers. GoFor is your heavy vehicle fleet partner. GoFor partners with owner/operator and vehicle fleets offering a wide range of heavy vehicle types. GoFor delivers what you need – where and when you need it. 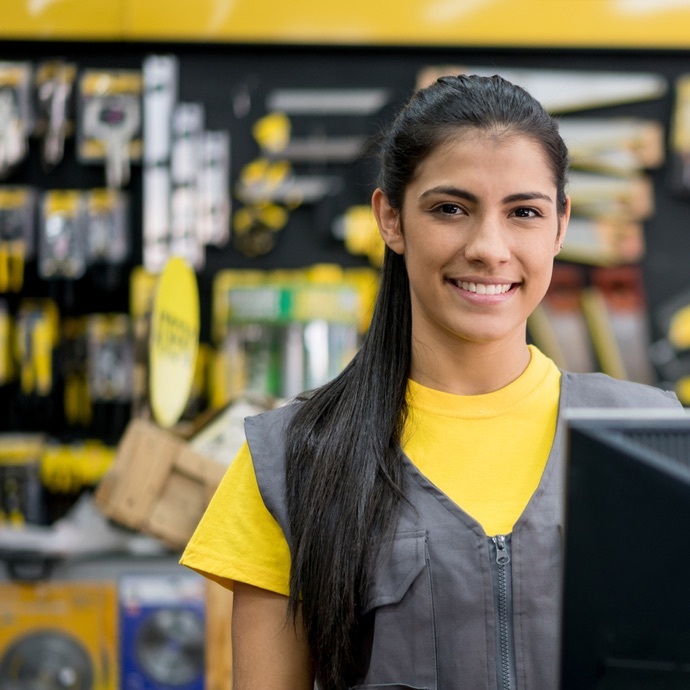 Schedule a delivery from wherever you are - in store, on the road or on a job site. With the GoFor App you can schedule multiple drop-off locations and track deliveries. Our network of experienced and vetted drivers ensure your brand is represented professionally to your delivery customers. Drivers are equipped with the right equipment to get the job done. 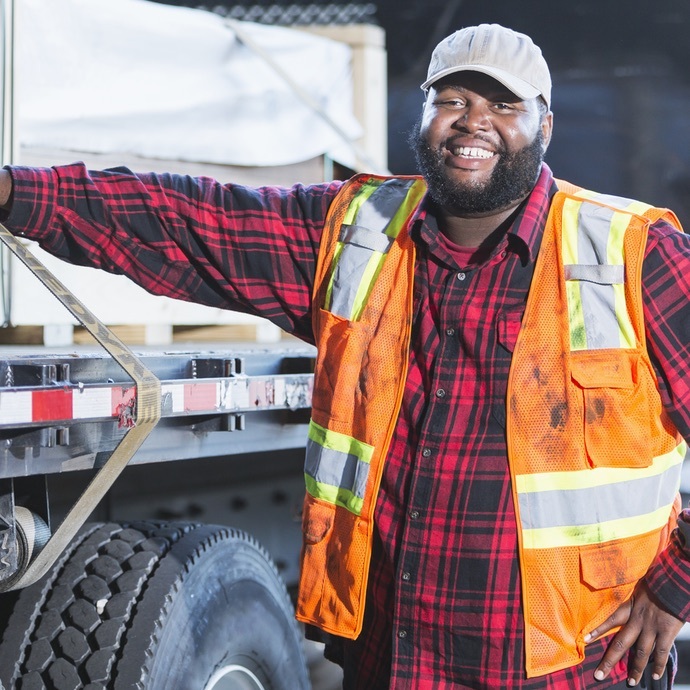 GoFor drivers are vigilant with the loading and unloading of curb-side deliveries, handling temperature-sensitive materials (paint) or fragile materials (drywall) with care and attention. GoFor delivers reliable, timely logistics service for you and your customers. From the app to the final destination, GoFor delivers an uncompromising customer experience. Flexible delivery options to meet your business needs. GoFor is your out-sourced logistics partner for all your immediate and long-term logistic needs. From pick-up trucks to flatbeds, GoFor’s professional drivers are equipped to complete your deliveries. For last minute delivery of building materials directly to your job site. Forget something or need materials delivered to multiple job sites? Maximize your and your team’s time and resources and eliminate lost productivity by sending your own gopher. Driving with GoFor is an opportunity to maximize the time you and your vehicles are on the road. We connect you with deliveries that keep you and your vehicles moving. We manage the orders, you do the delivering. GoFor is delivering in a city near you. Complete the form to get an instant quote on your next delivery. 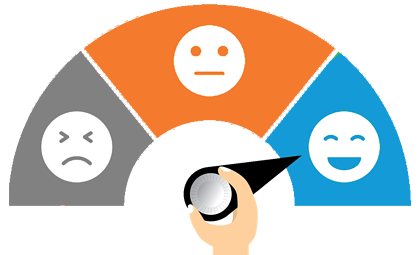 Our experience with GoFor has been very positive. The drivers are professional, friendly and reliable and the GoFor team upholds the high level of customer service that All-Fab expects of its employees and contractors. GoFor gives us expanded options for delivery and service that have enabled us to grow in the Edmonton market while keeping our costs in check.